Looking for fresh apps for your iDevice? We’ve found 120 great iPhone and iPad apps that were released over the last 24 hours. 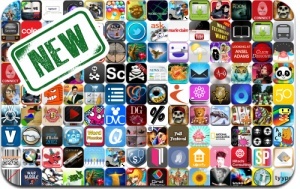 This new apps alert includes Street Fighter X Tekken Mobile, The Room, Hotel Transylvania Dash, GridBlock, Magic Forest Pro, Samurai Duel, Bubble Blitz Mania, Lili, Jets Aliens Missiles, Smashing Planets, Evzdrop, Auto Color Filter, and many others.